This October come join us to hear five true, personal stories that are one of a kind. From weird job interviews to a unique diagnosis, these stories are like snowflakes! Hosted by Misha Gajewski and Jesse Hildebrand. Doors at 7:00pm. Vicky Forster is a pediatric cancer research scientist at the Hospital for Sick Children in Toronto and survivor of childhood leukemia. She loves communicating her science, having done two TED talks and she currently writes as a contributor for Forbes. She is particularly passionate about advocating for better research into the side effects of cancer treatment and involving survivors in decision-making about what to research. Zen Mariani was selected as one of the final 32 Canadian Space Agency’s astronaut candidates for the 2017 astronaut selection campaign. He graduated from Western University with a B.Sc. in physics and, as part of his M.Sc. and Ph.D. in physics at the University of Toronto, he frequently traveled to a remote high-Arctic site to conduct climate observations near the North Pole. He currently works as a research scientist in the meteorological research division at Environment and Climate Change Canada where he leads research projects which are aimed at improving weather observation and forecast capabilities in Canada, with a focus on Arctic meteorology. Samantha Lauby is a neuroscientist, an animal lover, and has the privilege to be both in her research. 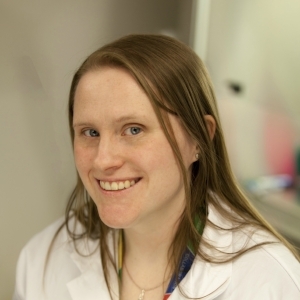 She is currently a PhD Candidate at the University of Toronto in Cell and Systems Biology. Her research involves early-life maternal care in rats and how other factors, namely genetic variation and rat pup temperature, can affect gene expression in the brain early in development and behaviour at adulthood. Outside the lab, she enjoys photography, nature walks, and cuddling with her guinea pig, Kirby. She has previously written and spoken to the public about mental health and the role culture and language play in the perception of mental illness. Laura Spink is a vocalist/percussionist in the Toronto-based duo, The Young Novelists. She has toured Canada, the United States, and Europe, and the band has won a Canadian Folk Music Award for New/Emerging Artist of the Year. Besides working full-time in music, Laura graduated with a Geochemistry degree from the University of Waterloo and works part-time at the Ontario Ministry of the Environment, Conservation and Parks. She is also the proud mom of an amazing 7-year old son. Melissa Mathers earned her Master’s in Physics studying antimatter at CERN. She supports STEM outreach in the GTA as a Regional Coordinator at Let’s Talk Science, and coordinates a sustained outreach project at an after school program in the Jane-Finch neighbourhood. She is passionate about STEM learning, equitable engagement, and loves working with people. She is the Data Manager on the STAO professional learning team, and volunteers as a host for Exploring by the Seat of Your Pants.